The government authorities do not installed Law and Order for Rakhine people who are openly doing crimes. A few Rakhines those arrested from Sittwe, Kyauktaw and Maungdaw were also released after days. Beside, police authority are arresting Rohingya elders and youths from every village of Sittwe, Maungdaw, Rathedaung and Kyauktaw townships and framing them with false charges. Government doesn't bother with the call of UN therefore Rohingya people are continued to face tyrant attacks of Rakhines and arbitrary abuses of local authorities. While there is ongoing heavy raining and flooding, it is more than two weeks now they are confined by military guards without supply of food and medicine. Rohingyans are ending-up between gun-fires of security forces and lethal knives of Rakhine people. This time they can't escape because security forces rounded up all the way out, those hiding in remote areas were also attacked by Rakhines and security forces and navy forces are patrolling across the beach and eliminating them. We also heard about aid contribution. However, all aid supplies are reached to government designated relief centres where authority places perpetrator Rakhine family members only. It is more than two weeks now Rohingya people in all areas including homeless people are seriously and painfully suffering from starvation. 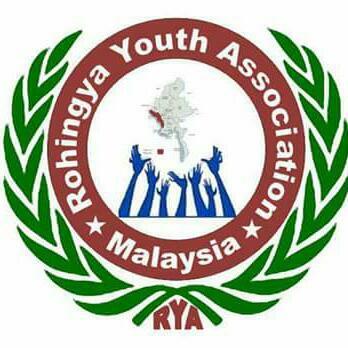 Rohingyans need immediate supply of foods, clothes, medicines and shelters. Because, the restriction is still imposed on Rohingya people who are dying on daily basic for lack of foods, medical care, shelters and clothing. Afternnon: The 700 years old ancient mosque (Myoatma Jarmae Mosque) situated between the market and Manaegya Fara, was completely demolished by Rakhines. Morning: Four Rohingyans who were picked up from in the middle of Kaladan River by a group of Rakhines on 30 June, were confirmed killed and dead bodies were not returned. Muslims in Myebon township are mixed of Rakhine muslim, Kaman and Rohingya and population make up around 700 people that size is just about 1% of total Rakhine population in Myebon. Their houses are situated in the Khataktin village of Taungbo Quarter. Their houses were rounded up by Rakhine people who came from different areas during the time of violences occurred in Sittwe. However, their neighbour who have been lived together for decades are not agreed with any attacks upon muslims and prevented as much as they can. Due to such disputations, military were arrived on time and protected them. One of their neighbour respected Rakhine leader explained outsider Rakhines those came to attacks muslims that these muslims people have been living with them for generations without any problems and they speak only Rakhine language either. They have already asked to pave away to out from Myebon, they will abandon everything if they could. But these muslim people have no place to escape. So, they would be died here but not alone and their houses within Rakhine village. Incase these few houses of muslims were torched, most of Rakhine houses beside them will be burnt down. But some Rakhines set fire a muslim house which was only one in central area (Alay Baine) that caused 20 of Rakhine houses inlcuding that muslim house were burnt down since the beginning of violence. Up to yesterday 2nd July, Rakhines those came from different regions are awaited to attack therefore military forcing are still protecting muslim. Despite native Rakhine leaders ask outsider Rakhines who came to attack to be leave, they said they will not leave unless at least cutting off of 30 muslim heads. Based on various sources we received, it come to understand that the military forces deployed in Myebon, Kyauktaw and Sittwe are seem as not much abusive and somehow they are protecting muslims. They are much different from those deployed in Maungdaw, Rathedaung and Buthidaung townships.